Oi, it's them Off the silver screen! I’ve revived this page from the 2013 site and will strive to add to it and include more featured fans but for now just wallow in the afterglow of the following line up. 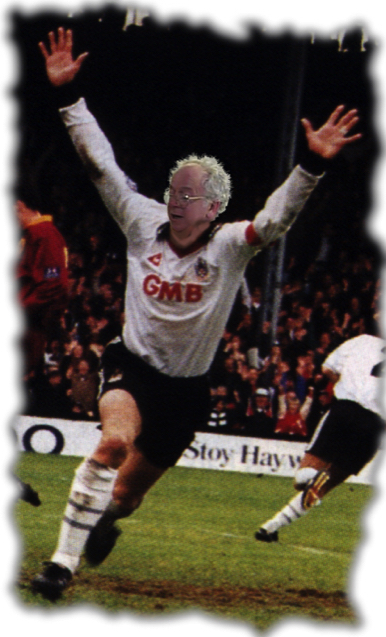 Just for a little light amusement, this will be a page where we can include real people, fictional characters and so on who are current, past or purported to support Fulham, I’ll eventually add the more obvious ones over the next couple of weeks and maybe in the close season have a properdig e=round and add more. Waterman was born in Clapham, London, and his career began in childhood. In 1961, at the age of 13, he played the part of Winthrop Paroo in the Adelphi Theatre production of The Music Man. A year later, he starred as William Brown in the BBC TV series William based on the Just William books of Richmal Crompton. He trained at the Corona Theatre School in Kew. West London and training productions included playing Sandy in Noel Coward's Hay Fever. 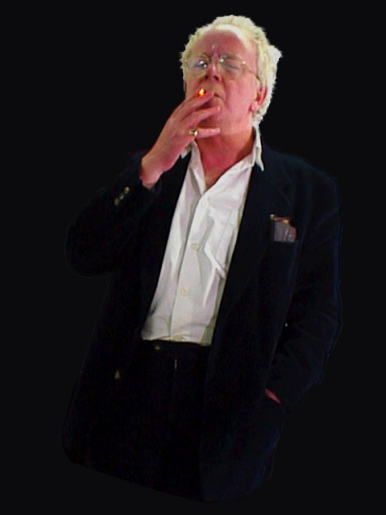 He became well known and something of a pin-up as DS George Carter in The Sweeney, during the 1970s. Waterman starred in Minder, a long running comedy drama on which he sang the theme song, "I Could Be So Good For You", which was a top three UK hit in 1980 and a top 10 hit in Australia. Waterman also recorded a song with George Cole "What Are We Gonna Get For 'Er Indoors". The premise for Minder we that Arthur Daley (George Cole), a small-time conman, hires Terry (Dennis Waterman) to be his 'minder' to protect him from other crooks. While Terry is trying his hardest to satisfy his employer's demands, and risking his life, Arthur is busy exploiting Terry for all he is worth, usually by keeping most of Terry's share of the money for himself. Later nephew Ray becomes the Minder. An avid fan of Chelsea Football Club, London. Ironically, as Terry McCann, his character in Minder, he had to play a fan of Fulham football Club a point enjoyed very much by the Only Team in Fulham. I caught the back end of an episode of Minder a couple of weeks ago and laughed like a drain, normally, I would avoid most old stuff of that ilk like the plague, however I had completely forgotten that it was fairly sharply written and that George Cole carried off the role of Arthur Daley so brilliantly. I didn’t channel hop next time I came across another episode re-run, instead I stayed with it, marveling at the outside broadcast shots of bits of London, and cringing at rather a lot of what I was seeing. 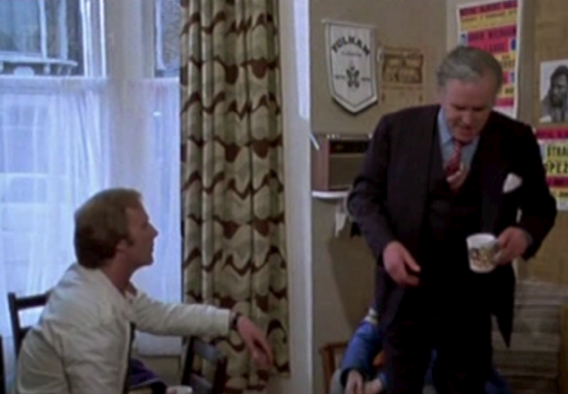 Remembering that the Terry McCann character was a Fulham Fan, I was amused to catch a scene showing evidence in the form of a scarf, pennant and a rosette. 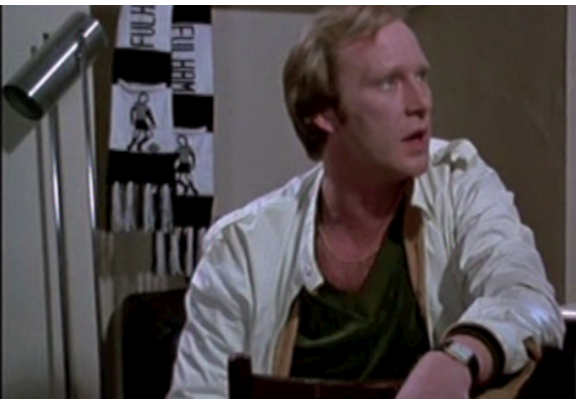 I recall that McCann actor Dennis Waterman is in fact a follower of the late-comers to SW6 which naturally made me chuckle even louder. In honour of this Fulham/Minder association, there is a small piece dedicated to this fact to the right, who knows, this could lead to a few features on other notable Whites fans, fictional and actual. Budgie (Adam Faith), Citizen Smith (Robert Lindsay) being two other fondly remembered TV character examples from the last century, Liz Hurley’s ex, with Keith and Lilly Allen and the tall chap from Pointless, being a few well-known more current celebrities with black and white blood. If there are any of you out there that can remember a few others, (Ray Brooks, Sharon Deuce, OXO Dad and other obvious candidates excepted) please send in your suggestions by email to TOOFIF please.